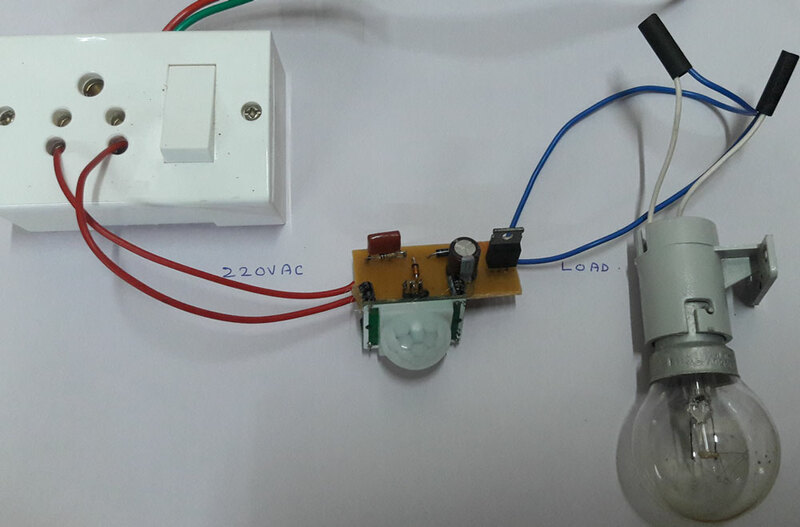 PIR sensor requires 3 to 5 V DC minimum but operates in higher voltage up to 18 volts. 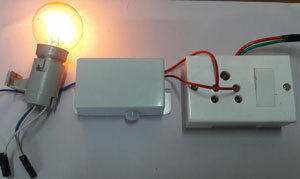 Tranformerless power supply needs the following components. 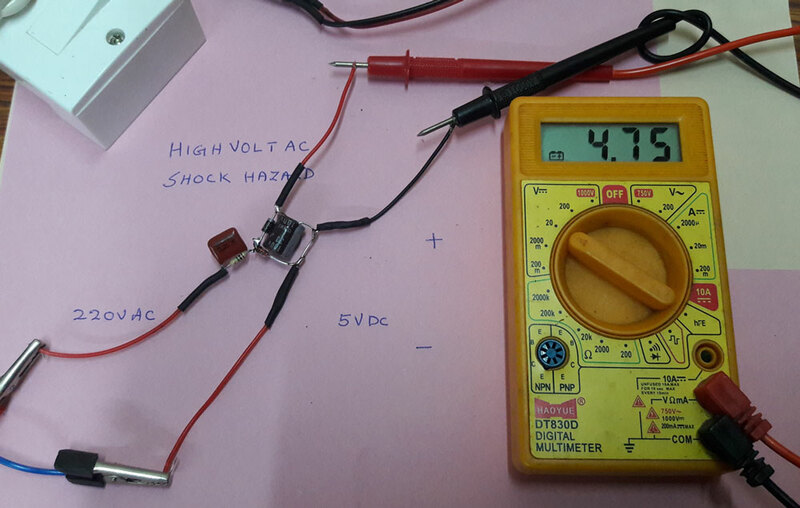 X rated capacitor is used to drop 220 V AC to low volt AC which is rectified by the 1N 4007 diode and made ripple free by the 33 uF capacitor. The DC thus available is regulated by the Zener diode to 4.7 V or 5.1 V based on the Zener used. It is the ready made Module available for Human movement detection. It is powered by the DC from the Tranformerless power supply. 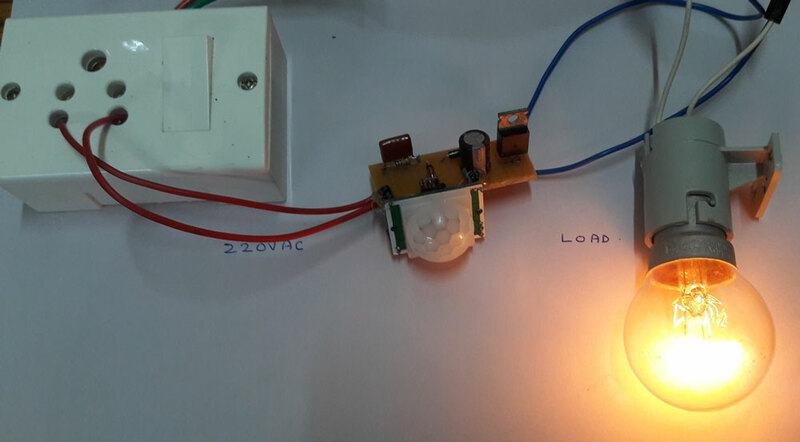 When triggered, PIR Module gives 3.3 V at the output which is used to trigger the load driving Triac BT 136. 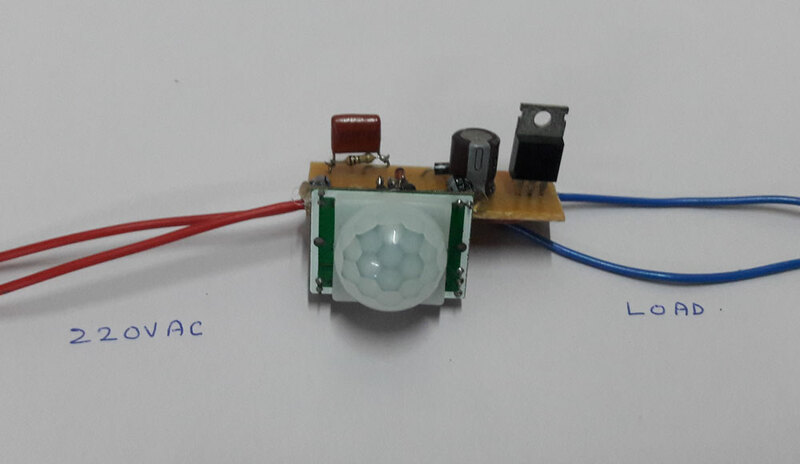 Triac can handle up to 250 watts load. 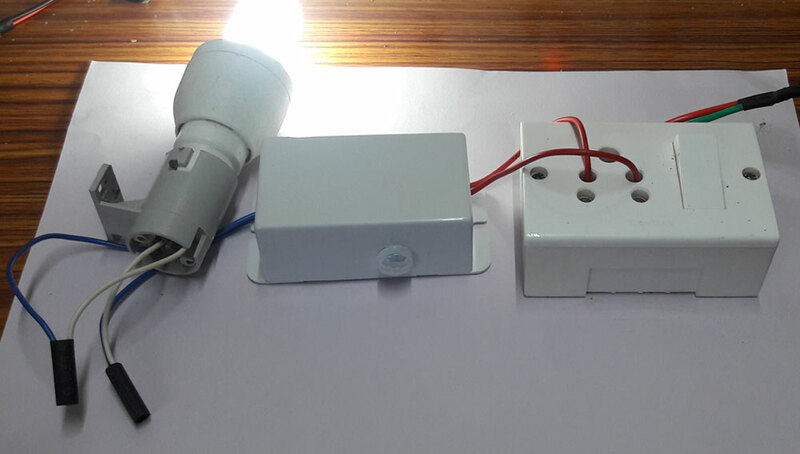 Lamp can be CFL, LED light, Tube light etc. 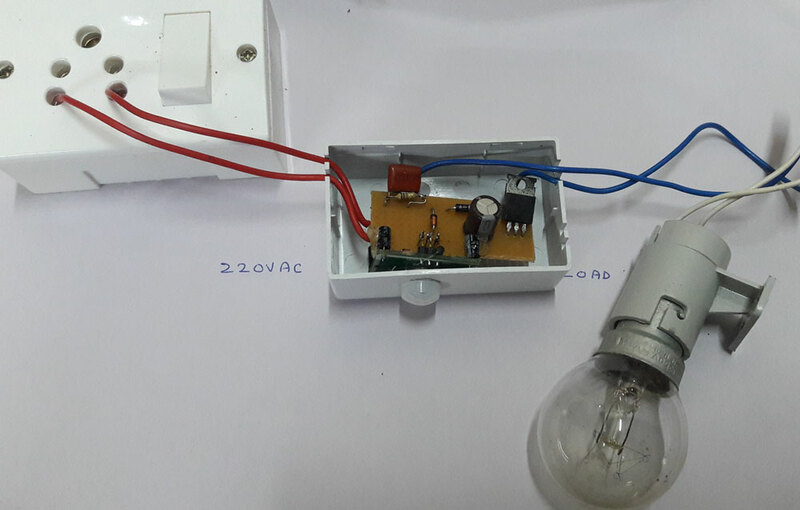 Lamp is connected between the Phase and the M2 pin of Triac. The M1 pin of Triac is connected to Neutral. Give sufficient spacing between the pins of Triac during assembling to avoid Short circuits. 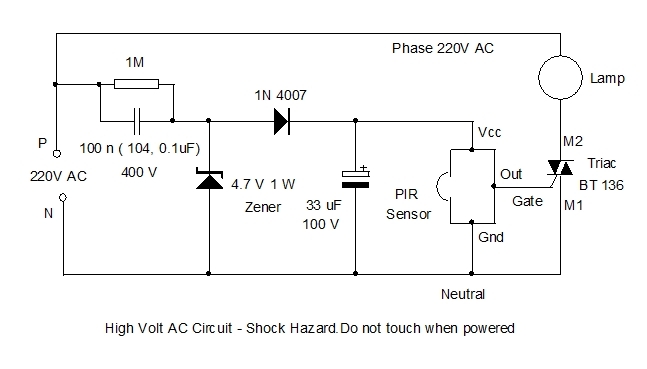 When the PIR sensor detects human movement, its output turns high and triggers the Triac. Triac conducts and the lamp circuit completes and it glows. Rage of detection and time delay can be set using the Presets present in the PIR Module. 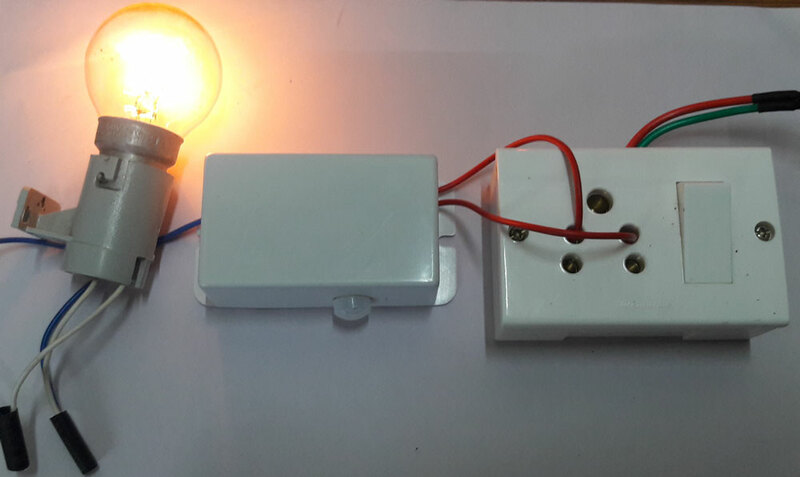 Before connecting the PIR sensor module to the Tranformerless power supply, use a 9 volt battery as power supply to adjust the presets of Module. 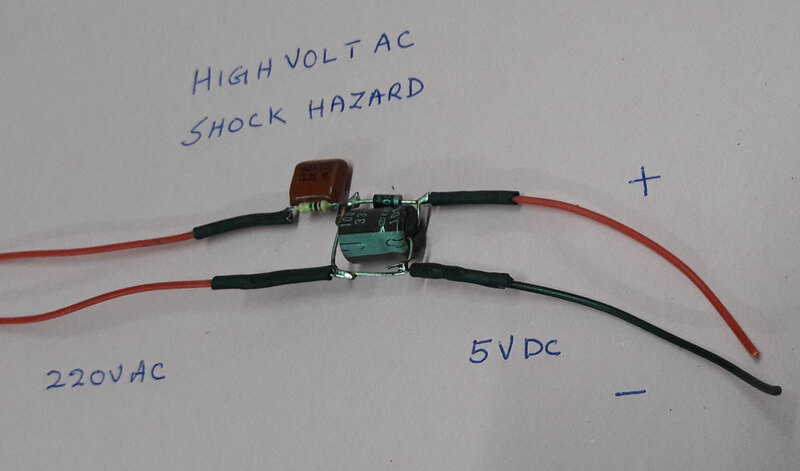 Avoid adjustments after connecting the Tranformerless power supply. 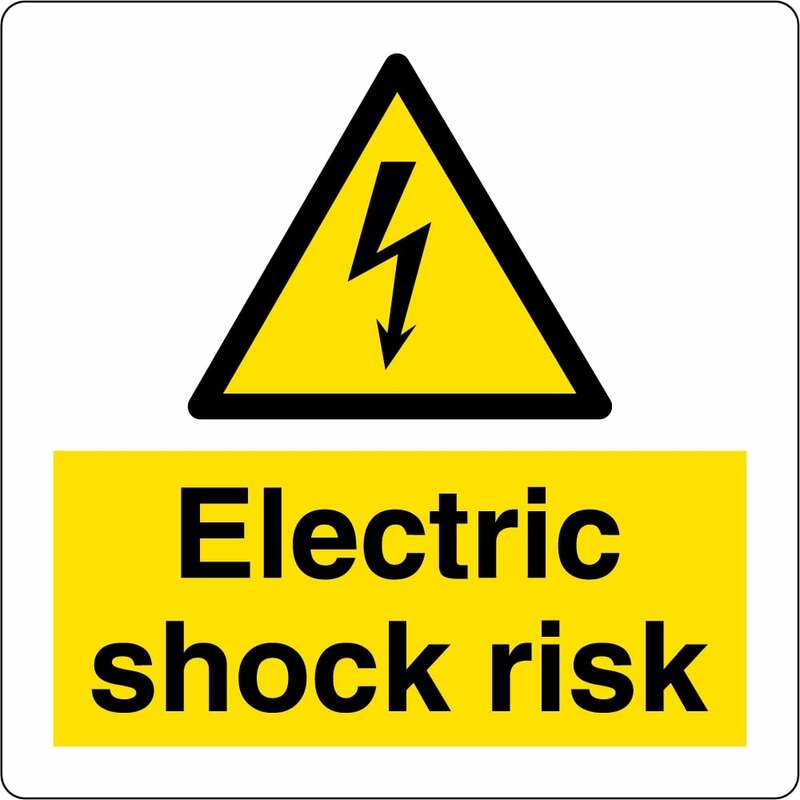 Enclose the complete circuit in a Shock proof case.